Nintendo built this advanced system so it and third parties could ignore one very important feature. Nintendo has always had a weird relationship with online multiplayer. One second it's important, and the next, fans don't really want it. This has dragged on since the GameCube days. 3DS seemed different. After years of struggling to "get" the benefit of having online play, Nintendo appeared ready to embrace Internet connectivity with its dual screen system. We sat through presentations where company figureheads discussed SpotPass, a browser and competing against other players worldwide. Fast forward to October 2011, and little has changed. Star Fox 64 3D? No online play. FIFA Soccer 12? No online play; thanks, EA. The Legend of Zelda: Four Swords Anniversary Edition, a multiplayer focused title? No online play. 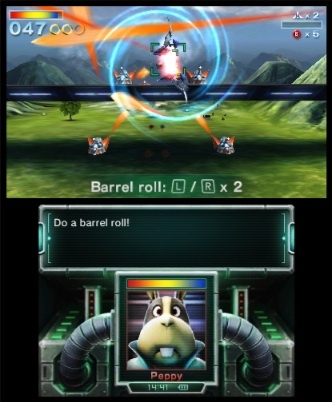 Online play would have made Star Fox 64 3D irresistable. Now, on the positive side, Capcom delivered a fun network experience with Super Street Fighter IV: 3D Edition, and Nintendo's Mario Kart 7 comes with online functionality; Square Enix's upcoming Heroes of Ruin also deserves a mention. We just can't seem to understand why the big N and the various third party publishers fail to understand the simple concept of folks wanting to compete against fellow gamers online, instead of having to track down friends and convince them to purchase 3DS systems and games; no easy feat, these days. What makes this worse is Apple's App Store that features games that cost anywhere from $0.99 to $9.99 that come with online multiplayer baked into the experience. And yet, Nintendo expects anyone over the age of ten to spend $29.99 to $39.99 for a 3DS title that lacks this feature. Hell, we don't even get online leaderboards to compare times and high scores. Clearly, not ever game needs online multiplayer. You shouldn't include it just for the sake of doing so. On the flip side, this isn't 2001, and fans shouldn't have to wait for FIFA Soccer 13 to find out if a publisher takes multiplayer seriously.